In the tiny faery world it is sometimes dangerous to venture too far into the human world. Better to check things carefully first. 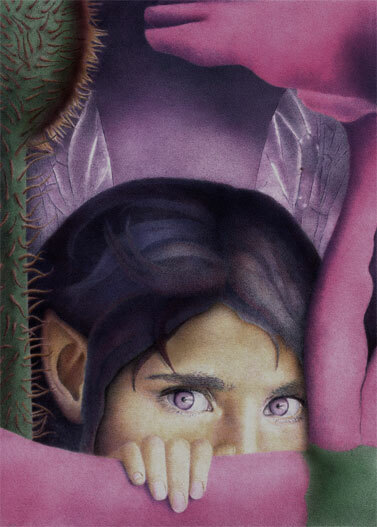 The original illustration is 7.25"x10" and was created with colored pencil. Slowly and carefully the tiny faery peeked out from behind the safety of her flower fortress.